A shadow board fence is a decorative way to provide privacy. 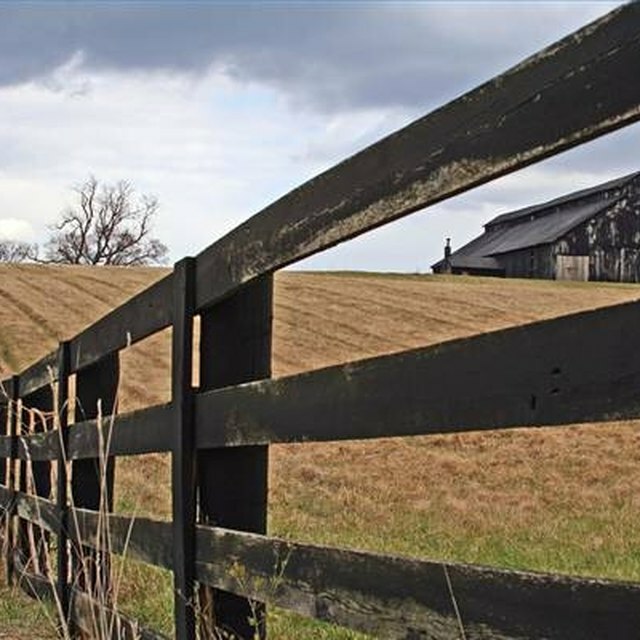 Not only does a fence add property value but it also is a classic backdrop for landscaping. This attractive fence also allows air flow in the fenced area. When properly installed, a privacy fence requires little upkeep. Traditional privacy fences are 6 feet high, with three rows of stringers. Installing a shadow board fence requires few tools and little time. A shadow board fence makes an attractive addition to the landscape. Map out the area. Mark on the map where the fence will be. Avoid crossing large downhill areas. Clean up the area, making sure are no briers or bushes are in the way. Mow or chop down grass. Put garden stakes around the property. Run string or twine along the stakes to be sure they are straight. This will be the guide for the fence. Measure along the stakes. Use spray paint to mark every 8 feet. This is where the posts will be. Dig holes about 3 feet deep where the spray paint is. Put gravel or sand in the bottom of the holes. This helps with drainage. Starting at a corner, place a post in the hole. Pour concrete around the post. Nail bracing boards to the posts to keep them straight. Continue placing posts, giving them 24 hours to dry. Run string evenly to each post. Cut off tops of posts evenly. Mark lines on the posts for the stringers. Starting at the bottom, nail the stringers to the posts. Be sure they are level and equal distance apart. Nail the pickets to the stringers. The pickets must be equal distance apart. Nail the pickets in the space on the opposite side. Remove string and cut off the remaining stringers. Pick up any excess wood and nails. An assistant helps with fence installation. Use a high-quality outdoor stain for a longer-lasting fence. Wear safety protection to operate power tools.